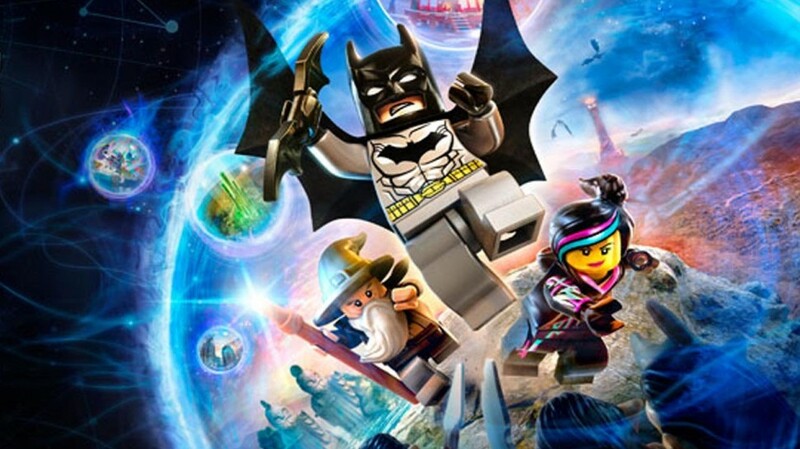 Home » Gaming » Lego Dimensions is Ending. Let’s Celebrate. Lego Dimensions is Ending. Let’s Celebrate. On Monday, Lego Dimensions announced via its Twitter that its gaming franchise was coming to an end. A latecomer to the “toys to life” market, Lego Dimensions combined little plastic bricks with cross-franchise gaming and allowed characters from across pop culture to meet, fight, and join forces to save the brick universe. Produced by Warner Interactive Entertainment and TT Games, Dimensions ran for two years and multiple waves of release as it brought together DC Comics, Lord of the Rings, The Lego Movie, The Wizard of Oz, Back to the Future, and so much more. So understandably, fans across the internet ranged from disappointed to full-on rage. The game’s end didn’t really surprise anyone, even if the news took awhile to become official. Despite the game releasing three new platforms last month (Powerpuff Girls, Teen Titans Go!, and Beetlejuice), there was an observable lack of news on whether the game would enter a third year. Rumors swirled for months, and a prominent article on Eurogamer last week all but confirmed that the game was done and identified a number of the problems which led to the end. At this point, content will remain downloadable and TT Games will continue to run maintenance on the game, but no more expansions are forthcoming and the toys-to-life concept has suffered another blow. And I say: what exactly is the problem here? Emotionally, I get it: gamers have invested a lot of time and patience into Lego Dimensions, and gaming glitches aside (of which there have been quite a few), Dimensions has been a fun experience. I imagine a lot of fans were hoping the aborted third year would have added a bunch of new content and exclusive minifigures that we’ve never had access to. There were also hopes we’d get in-game characters with no game piece counterpart, like Sauron or Lord Vortech. Whatever the final product would have been, we’ll never know. But rather than mourn the loss of what we didn’t get, I’d rather focus on what we did get. I’m more a Lego builder than a gamer. I enjoy Dimensions and it inspired me to actually buy a PS4, but I’m more appreciative of the fact that the game’s add-ons gave me access to minifigures I haven’t gotten elsewhere. I missed out on Lego’s Back to the Future, Doctor Who, and Scooby-Doo sets, but Dimensions brought back those themes and now I’ve got a Doc Brown, Marty, Twelfth Doctor, Shaggy and Scooby that I wouldn’t otherwise have. My daughter missed the boat on most of Lego’s Harry Potter themes (she was too young to enjoy Harry when he finished up), but Dimensions gave her a refreshed shot at getting a few figures. While some Lego fans complained that Dimensions just reissued a number of existing characters, others should be happy, because it provided a new shot at getting characters from a number of defunct Lego lines. Moreover, Dimensions got really weird and creative in its second year and introduced a number of characters who probably would have never seen an independent Lego line. 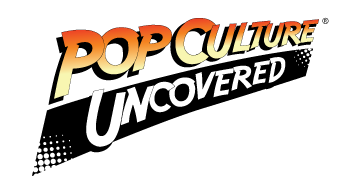 Some of this year’s product is still popular enough that Lego might have been able to give them their own lines, like Adventure Time, Teen Titans Go!, and Powerpuff Girls. But Dimensions went crazy and added a bunch of 1980s franchises, including Knight Rider, Goonies, The A-Team, Gremlins, and Beetlejuice. I doubt that anyone would have guessed in a million years that we’d get a B.A. Baracus Lego figure, but it now exists. I repeat: a freakin’ B.A. Baracus Lego figure exists. Gaming is fun, but limited. Lego is about toys and creativity, not just gaming. I understanding that gaming is a healthy timewaster, but even with many hours of fun, Dimensions ultimately leads to completed levels and quests and you’re going to run out of things to see and do. If your game pieces–made from real bricks–just go back into storage, you’re losing an opportunity to use them in the real world and flex your creative muscles, which is what Lego is all about. The physical bricks–which technically aren’t necessary to the game (everything is run through removable chips)–can be incorporated into physical play however you want. Maybe you can stick a Midway Arcade machine into your town. Or build your own version of GLaDOS in a Portal 2 adventure. Or try to create your own version of the Land of Oo. Here’s the other beauty of Dimensions coming to an end: the prices are about to drop a lot. If a game ends, it means that stores will no longer want to carry it, and they’ll have to clearance their overstock. This has happened with the end of games like Disney Infinity: the game accessories are hitting clearance and showing up at discount chains like Five Below. Heavy clearancing also happened with the early Dimensions sets that weren’t selling well. I personally found a number of them at Five Below or on Target’s Cartwheel app and got a number of the fun packs for under half price. At $12 for a basic set, Lego Dimensions sets aren’t cheap for what amounts to a minifigure and a small collection of bricks. A comparable Lego set might run around $5-6 in-store, but then, you’re not paying for a computer chip and downloadable content there either. If you’re a pure toy collector, Dimensions sets aren’t really cost effective unless you’re willing to wait for clearancing. Well, that day is probably about to come. So: yeah, it’s normal to be sad about Dimensions and to be upset that the game didn’t do better financially. But TT and Warner’s loss is our gain as customers. The game still exists and will still be playable as long as you can run to the store and buy one. So, ironically, the game’s end marks a great, cost-effective opportunity to get into the game, or to just buy the expansion packs for some cool parts and figures which may never again be seen in Lego form. So what are you waiting for? If you’ve wanted to try Dimensions but couldn’t afford it, now’s your shot.